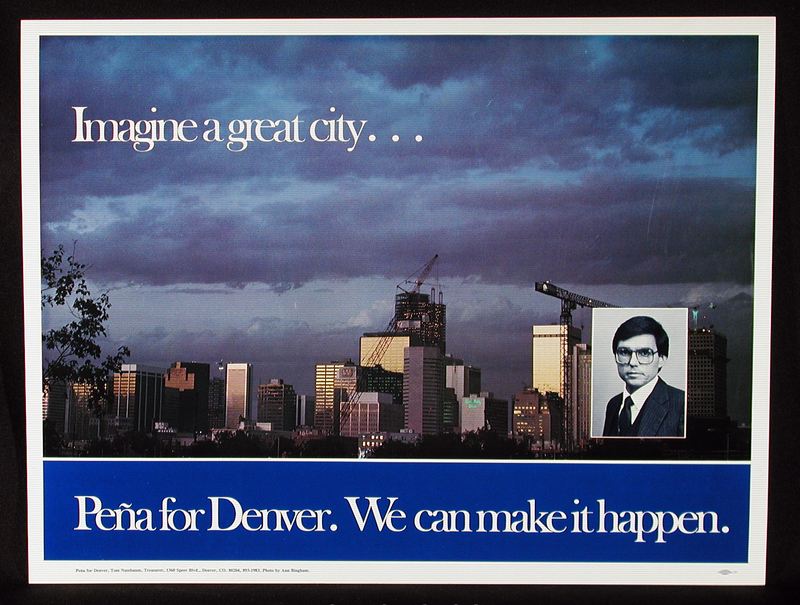 Federico Peña was elected Denver’s first Hispanic mayor in 1983. He went on to serve as U.S. Secretary of Transportation and then as Secretary of Energy during the Clinton Administration. Earlier this spring, Peña shared his oral history with our curator of archives, Shaun Boyd, and our director of community engagement, Marissa Volpe. Below is a summary of what he shared—you can also listen to it in its entirety below or here. After creating the blueprint for staffing Clinton’s Department of Transportation he was invited to be its secretary. listen “I had a lot of hesitancy but I’m glad I did it.” As Secretary of Transportation, he built relationships that allowed U.S. airlines to fly anywhere around the world and started discussions about innovative technologies such as driverless cars. After serving in that position for four years, he became Secretary of Energy for the following year and a half, again reluctantly. listen In this new position, he developed an energy policy and oversaw nuclear facilities. Want to learn more about Hispano heritage? Become involved in our We are Colorado initiative!